You can ask, what makes my everyday invoicing so easy. The answer is – invoicing program, that I have recently bought. I have tested all the functions of the program. However I do not need them all so far. But I am looking forward to updating the process of invoicing my customers. When I stored all data about my customers and products on my computer, I was afraid that someday something would brake and data would disappear. Now all data is saved into online database. I think it is very reliable. My enterprise has about 100 regular customers and almost 60 products. First it took me quite much time to add all customers and products to the database of the invoicing program. But it gives positive results. Now invoicing for me is simple and takes not more then 15 minutes every day. Imagine, I choose customer from the list, add products from the other list, set due date and other payment options and click “send”. It is something that I was dreaming about some 10 years ago. I remember how I created invoices in Excel. Invoices looked also quite good, but it took me huge time to put everything on the right place. Technologies are developing and invoicing becomes more and more easy. I think that every business owner is happy about that. I do not think that my experience with customers and products will inspire all business owners to change their way of invoicing. I would also say that I can use Excel and I am pretty satisfied. Even if it takes me longer time to create invoice. But now there is one thing without what I can not imagine my everyday work anymore. It is front page of my invoicing program, where I see all invoices that are created. I see which invoice is paid, which is not. The status of the invoice is changing automatically. You can always be aware of invoicing process on your enterprise. I can tell you more, but you will never understand me unless you try some invoicing software. 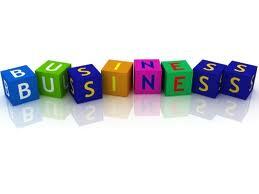 Wish you to manage your business and invoicing as successful as I do!